The easiest way to keep your bike running smoothly is to keep the tyres at the correct pressure for the terrain you are riding. The pressure range can be found on the side of your tyre. Generally you would use the bottom end of the range for off-road and wet riding and the top end for dry road riding. Use the range in between for varying conditions. 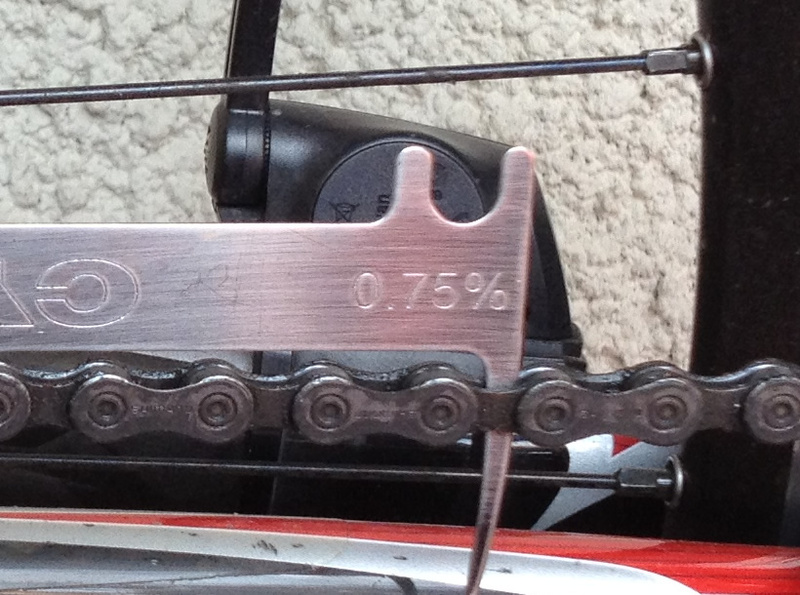 Checking chains is a good way of saving yourself money. 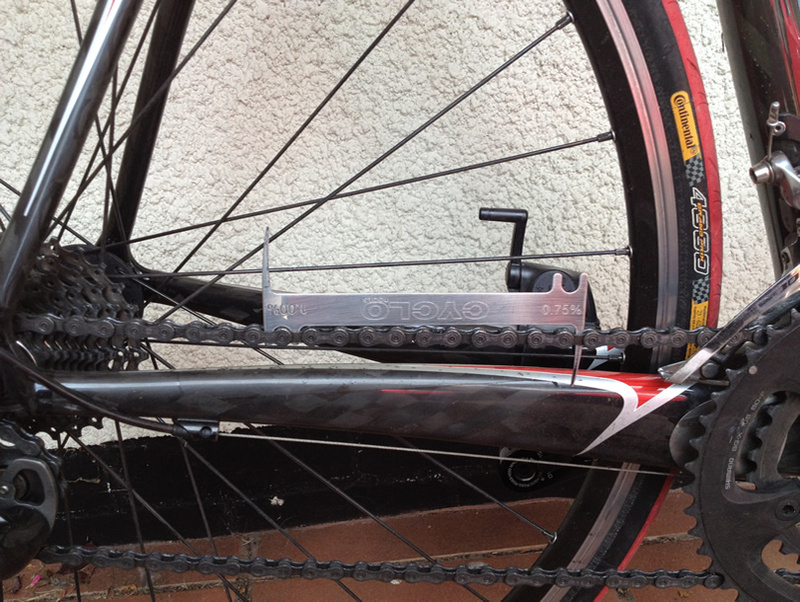 A worn out chain can prove very expensive as it wears out more expensive parts on your bike, such as the rear cassette (which is usually twice the price of a chain). Chain Checkers are available from £7 – ring for details. 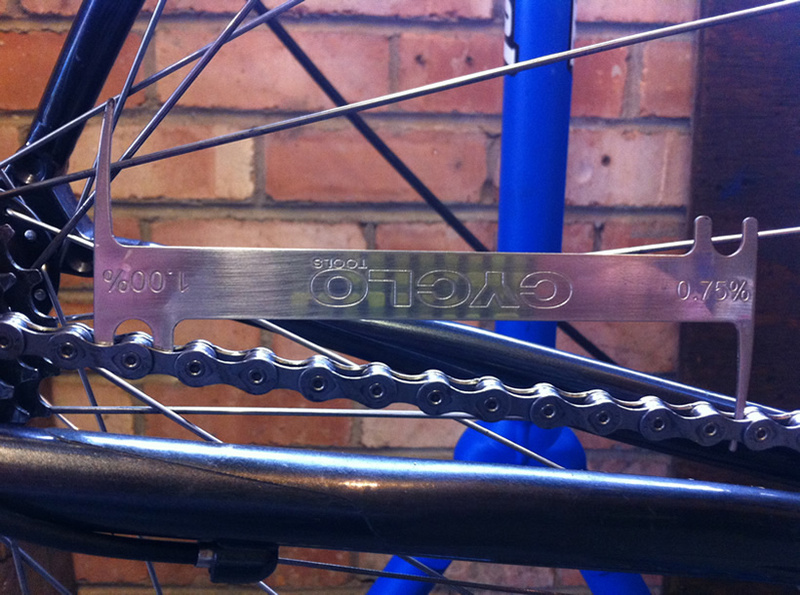 Click on the image to see just how easy it is to check whether your chain needs replacing. 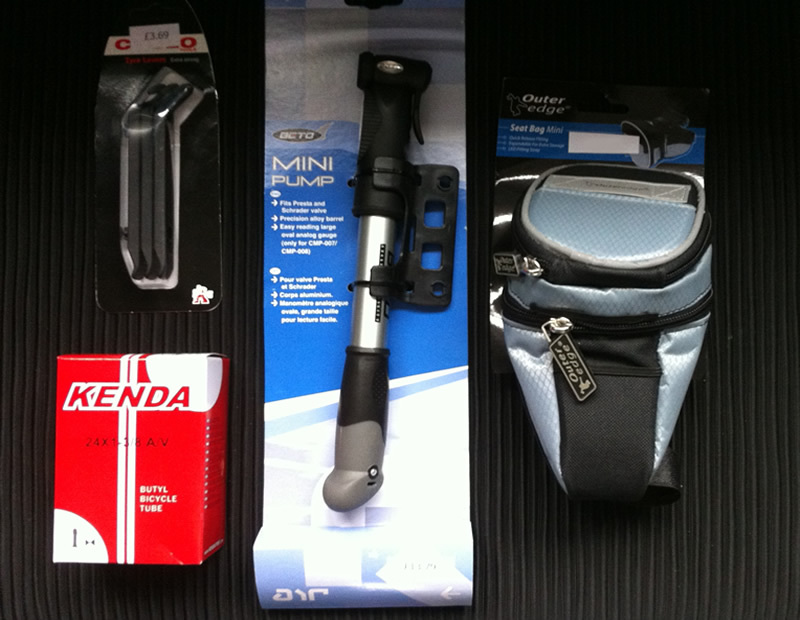 You can get a handy saddle pack to carry the tube and tyre levers. Click on the image to see John's recommended puncture pack.